Squarespace Website Builder is a new dawn in building bright and designer look websites. It attracts attention of users with its beautiful, exquisite designs and good usability. Squarespace allows you to create elegant websites just in few simple steps and impress your visitors with clean and true colours, incredible galleries and distinguished online stores. 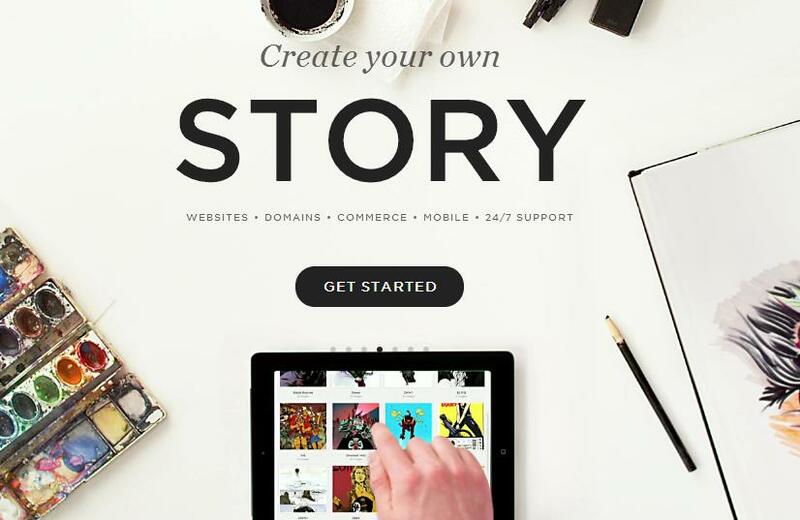 Squarespace was launched in 2004 and immediately gained users from creative segment. Nowadays over 1.8 million people have chosen Squarespace to express their ideas and represent businesses on the web. Probably the most interesting and attractive by Squarespace are their stunning designs. They aimed to provide professional stylish templates and combined it with easy to use drag and drop editor. The users can also customize almost everything on the page – colours, icons, buttons, etc. As a result even a beginner can create a good looking and rich-imagery website that express his/her ideas. This platform offers free domain names and hosts all the websites for you, no additional payment for hosting is charged. SEO by Squarespace allows optimizing each web page and attracting more visitors to your website. HTML markup is clean that is why it is easily indexable by Google and other search engines. The support service is a positive thing about Squarespace. You can get help during 1 hour via live chat or email. Last but not least should be mentioned eCommerce feature with very flexible options. It allows you to select multiple shipping methods, tax rules, add and edit your products easily. When building a website with Squarespace you should note that it separates the editing screen and the live preview screen. So sometimes it can be difficult to understand how to format your website layout the way you want. For the average user Style Editor can be a little bit complicated due to many options it offers. Some difficulties can also arise while trying to drag and drop some blocks. It can be annoying and would require some patience. From the very beginning Squarespace website building tool was intended for designers, photographers, restaurant and café owners, artists and bloggers. Lately the service has been extended with a very powerful online store features so e-business owners can be highly interested in this website builder. Squarespace doesn’t offer free plans for the users however there is 14-days trial time with 24/7 customer support. After that you can select a plan that meets your requirements. In Standard Plan that you can get for 8 $ per month you have a free domain name, 20 pages of galleries or blogs, mobile website and 2GB of storage. The most popular is Unlimited Plan, it costs double as much as Standard – 16$. This plan allows you to extend the number of pages to unlimited, get unlimited storage space and connection to Google Apps, Mailchimp Sync and Facebook publications. Business Plan for 24$ has fully integrated eCommerce feature with unlimited number of products, mobile store and other advantages.